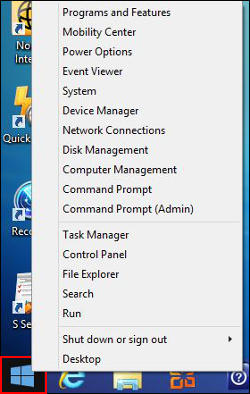 Windows 8.1 has brought back the Start button on the desktop. In order to shut down from the desktop, follow the steps below. 2. In the Start menu, hover over 'Shut down or sign out'. 3. Select from the options: Sign out, Sleep, Shut down, or Restart. Why does Wireless Display(Miracast) disconnects if connected to AP? How Do I Delete An Account On My Chromebox? What are the system requirements for SideSync 3.0?